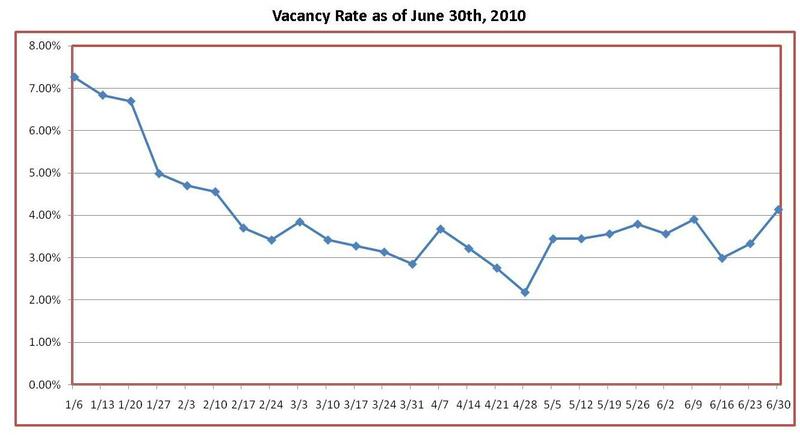 The below graph shows First Rate Property Management's vacancy rate for 2010. As you can see the market has really improved since January. We are currently just over 3% and the average for 2010 is just under 4%. I field a lot of calls from property investors who are concerned about their current property manager and the performance of the property. They’ll tell me that it “isn’t cash flowing” or “it’s not covering my mortgage”. Depending on what type of property they bought and the terms of their financing, this property may rarely see positive cash flow or cover the mortgage. So I share some data with them to make sure they are being realistic. Nine times out of Ten these folks are upset not because of their property management company’s inability to manage the property, but they are upset because of unreasonable expectations regarding expenses. Below shows our average income and expenses as a percentage of total income. You might find it interesting. Also, I’m trying to see if someone has a national average so that we can compare to see if these are realistic or not. 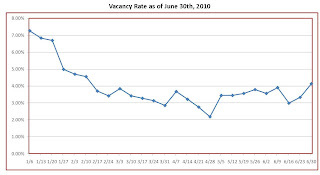 The numbers above are a 5 year average for all of our properties. I think they probably compare fairly well to local companies averages, although I don’t know of anyone else that has published this information. If you have a single family home and the tenant pays all utilities and does their own yard care, you could remove those numbers from your calculations. Please note that these numbers don’t include property taxes, hazard insurance, or debt service. Also, I posted our owner’s eviction and legal costs just to point out that that expense is less than 1 tenth of 1%. So roughly 30% of each month’s rent will go towards some expense or another. Add property taxes and hazard insurance to that and you’ll probably be around 40% for multi-family properties. Now if you have debt service, add that in and see where you fall. If the numbers work with these percentages plus a safety factor, you probably are ready to become an investor and have reasonable expectations. I hope this was helpful information. It was a fun exercise for me.